The farside crater Tsiolkovskiy is one of the most spectacular and unique geologic features on the Moon. A prime candidate for one of the later Apollo flights, Tsiolkovskiy is now one of the highest-priority sites for future human lunar exploration. Identified in the first image of the farside, and named after visionary space pioneer Konstantin Tsiolkovskiy, Tsiolkovskiy (185 km diameter) has a an irregular (non-circular) shape, a central peak, and is incompletely filled with mare basalt. Many geological and geomorphological features can be seen within and around the crater, making this a particularly interesting place on the Moon to work and study! Two side-by-side LROC images provide a crisp and detailed view (about 0.8 m/pixel) of the crater rim and its ejecta blanket bringing to bear impact cratering as the dominant geologic process in the inner Solar System. Although you are looking at the ejecta blanket of a large lunar crater, this surface is also covered with both smaller and younger impact craters as well as multiple generations of features influenced by impact cratering. Details such as individual boulders, boulder trails, hummocks, and possibly small outcrops can be readily identified. Outcrops are the holy grail of lunar geology - rock that is still in place from the time it was formed. 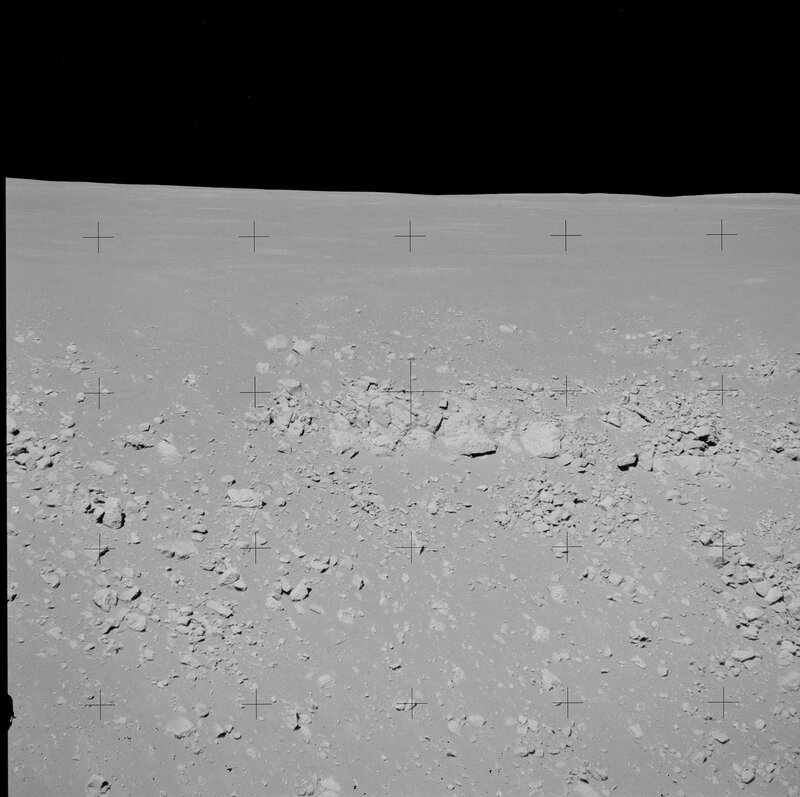 The Apollo astronauts probably only saw outcrop at one landing site, Apollo 15. Watch the movies formed from this mosaic: in places you will see rocky areas that may indicate outcrop. However, these are probably only large coherent blocks of material thrown out during the Tsiolkovskiy event (or some other impact). Such questions can best be investigated by astronauts living and working on the Moon. LROC is showing that everywhere you look on the Moon there are fascinating and enigmatic features awaiting our return! Browse the full-resolution image below, view the Youtube movie, or download the high-definition movies of this spectacular terrain here or here! Posted by Mark Robinson on August 04, 2009 11:46 UTC.